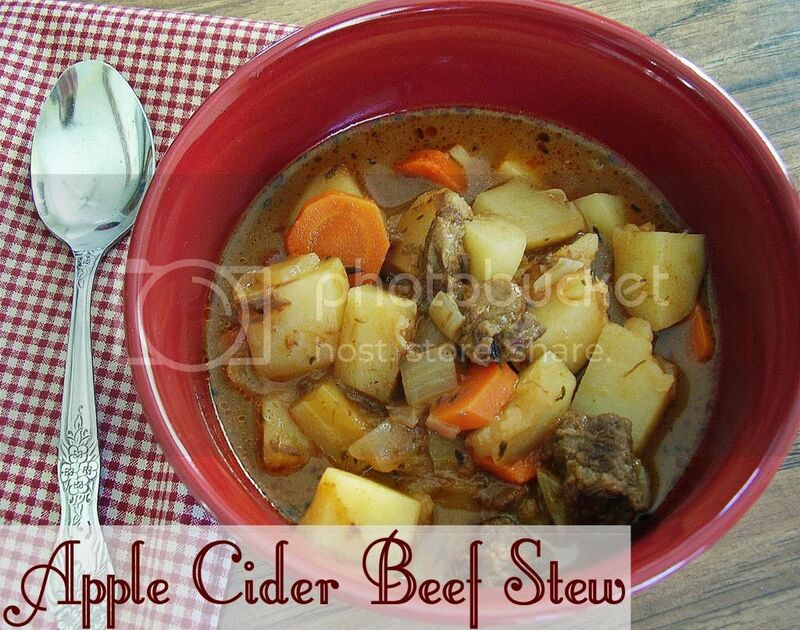 Beef stew is a favorite meal when the weather turns cool. This sweet and tangy version is a nice change from the original. Beef stew meat is a bit pricey, so in order to make this meal a little more frugal I check for markdowns throughout the year. If I find a good deal, I bring it home and put it right in the freezer. I also never buy a whole pound of meat. Instead, I make a smaller amount stretch by cutting the meat into bite-sized pieces. 1. Combine the beef stew meat with the flour, 1/2 tsp. salt and pepper in a bowl; toss to coat evenly. 2. Heat oil in a pot, add meat and brown on all sides. Add apple cider and bring to a simmer. Reduce heat to medium low and simmer until meat is tender, about 1 hour. 3. Add onion, potatoes, carrots, thyme, tomato paste and 1 tsp. salt. Simmer until vegetables are tender, about 30 minutes.